So as some of you know, our farm and house are off grid. In nine years I've started our house furnace three times- once to dry sheet rock, another time to heat the wood for flooring before installation, and the third time it was to heat a stone cold house in a hurry. 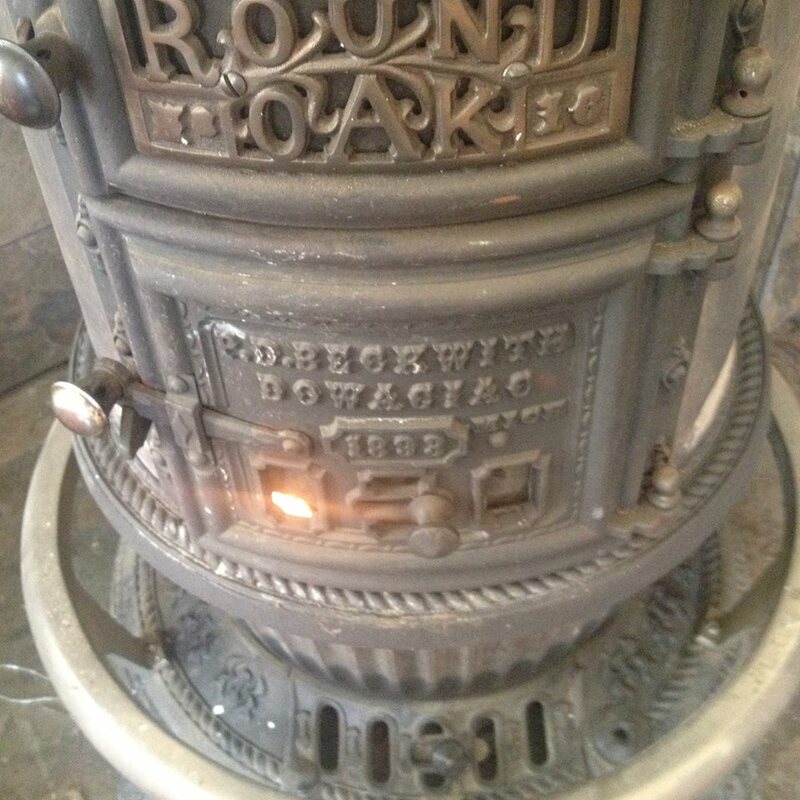 Since then we depend on our 1893 Round Oak parlor stove to heat 2300 sq feet of highly insulated home. In those nine years I have only peeked into the chimney twice- the first time was after the first year of stove operation and the second time was this morning. I had to re-snug the damper plate so it wouldn't close on its own with gravity and fill the house with smoke whilst I heat water for the morning's coffee. So old technology ROCKS! Nine years and no buildup in the two story chimney. Check that out, eh! The old timers really knew how to build a stove.